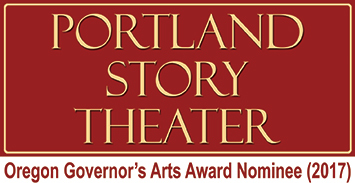 PORTLAND, OR ‒ April 6, 2018 Albert Einstein knew what he was talking about when he said “all that is valuable in human society depends upon the opportunity for development accorded the individual.” That’s exactly what we’re doing at Portland Story Theater: giving individuals an opportunity to develop as people, to tell their stories and to be heard. The stories that people tell at Portland Story Theater’s Urban Tellers® are personal narratives shaped by the truth of the present moment. We are thrilled to be creating a very special edition of Urban Tellers® on April 6th that features the real, true stories of immigrants and refugees now living in Portland, Oregon. Our goal is to address the ‘othering’ that has escalated in our country, by humanizing and building connection within our urban community. Portland Story Theater is very excited to have Mexico (Enrique Andrade), India (Preethi Srinivas), China (Qin Xia), Ethiopia (Nyimoch Chuol Wel), China (Jiao Liu), and Guatemala (Bernal Cruz) represented. This Urban Tellers® is scheduled for April 6th at The Old Church Concert Hall, located at 1422 SW 11th Avenue (at SW Clay). The doors open at 7 pm. The bar will be open and there will be live jazz from Tonight’s Special. Stories start promptly at 8 pm. The increasingly acerbic, anti-immigrant language running rampant in our own community and around the world has convinced us that now is a perfect time to celebrate and support immigrants and refugees by hearing their stories. These narratives will enrich our community by helping us realize the humanity we share with our immigrant and refugee neighbors. This special edition furthers Portland Story Theater’s vision of “changing the world, one story at a time.” Our purpose is not to set immigrants and refugees apart as a separate segment of society; our purpose is to show that immigrants and refugees are ordinary people, like everyone else, with the same hopes and dreams and feelings. Through our personal stories, we strive to show that we are all one family, sharing the human experience. There is no us and them; only us. For that reason, we have not required the participants to tell their immigrant and refugee stories; they are free to tell personal stories about anything that has meaning for them. A theme that ties all the stories together will emerge organically within the group as the stories develop and take shape. Every show is hosted by Portland Story Theater founders, Lawrence Howard and Lynne Duddy, who always deliver a dynamic show. Funny. Touching. Often surprising. 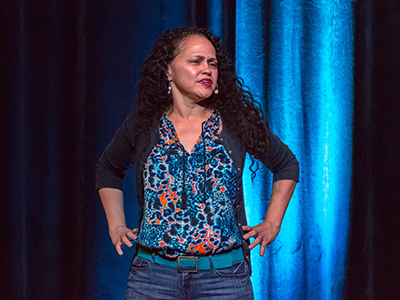 For all media inquiries in reference to Urban Tellers, Immigrants and Refugee Edition, please contact Portland Story Theater, 1-503-284-2226 or by email at media@pdxstorytheater.org.